Training has been hard, but it has all shown me a lot. There were so many times when I just wanted to give up .. just stop running and walk or rest. (and I did a few times!) 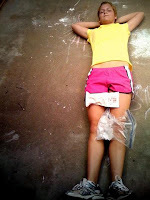 But in the end it showed me that pushing through the pain will pay off. It definitely did, considering in the beginning I couldn't even run 2 miles easily, and I now I can without any problems. I know that this will help me in the future, just to be able to remind my self when things are hard and I want to give up, that no matter what - in the end, pushing yourself will pay off. I'm thankful to have once again, learned this lesson. I'm excited about the houses, and I'm even more excited to go to Haiti in the end of June to help buy the houses. I can not wait. 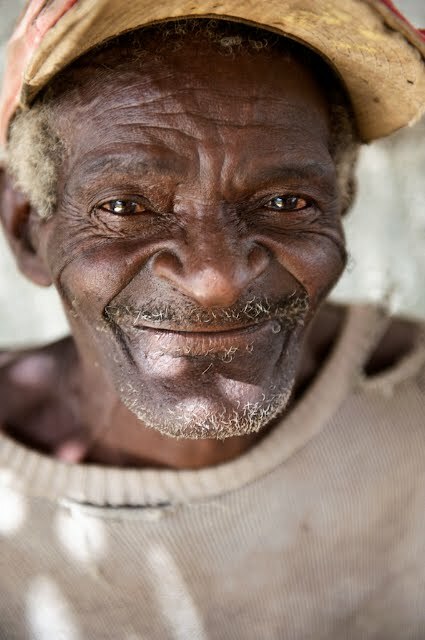 I love the Haitian people, and I love living in Haiti. I wouldn't change it for anything. That's part of the reason I'm so thankful and excited to have had this opportunity to run for them. Saturday morning was my last long distance training run. I ran ten miles in crazy humidity and it still went well! I was excited to have the last long one behind me though. Just two more 2 mile runs.. and then Sunday, June 6th in Minneapolis is race day! I'm very excited, but also nervous. I like running, but I have decided riding horses is a much better hobby. I'm so happy to have my mom and aunt Tina running it with me next Sunday! I again want to say thank you to all the people that have been praying and supporting me since the beginning. I'm so thankful for everyone who has been apart of all this. Mr. Tom White the accountant is going to get me a new total mid-week to update you again, but right now Heartline has for sure received $2,420 by mail. This means the total as of this moment is $37,646 - That means 15 houses to buy and 15 houses matched by Maxima - 30 HOUSES as of today. We are taking donations until June 10th, please tell your friends and spread the word. 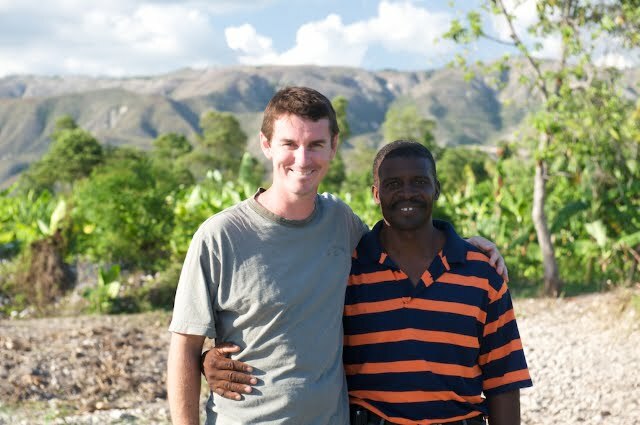 "Why the simplest things in Haiti can seem impossible." On This American Life. Noah has happily agreed to attend a pre-school three days a week for six weeks. This is the same kid that clutched my legs and begged to "nevah evah" leave us just one month ago. The pre-school even bears his name, we've convinced him they've been waiting on his arrival for years. I watched a YouTube with Haiti footage today. The boys walked in and stopped to watch with me. I was shocked to learn they have no idea of the scope of what happened in Haiti. They seemed to think just two or three building fell and just a handful of people were hurt. Live in a protected bubble much? Whoa. We talked a long time and after a somber, serious discussion Noah worried and wondered if maybe some of the roosters next door to us died in a crushed building. Nope. No-such-luck. We have Minnesotans living in our house. I am a strange combination of happy and resentful. Glad to have a place to offer them for a while. Mad to have a place to offer them for a while. It is good for Jeronne to have company. And Peanut. And I should probably get over it and be happy for them. Hi Al and Deb!!!! I shopped for tickets home. No, I don't know for sure yet what date we can go - but I perused the fares and choices. Anyone with a lot of American Airline miles they cannot or won't use? We'd love to talk to you. Our landlord in Haiti stopped by to inform Troy of the rent increase starting in August. We knew it was coming. When giant NGO's with no limit to their budget show up and pay two times the going rate for rent - guess what? Everyone else gets to pay more too. The landlord even had his example ready to cite when Troy tried to negotiate down. A house that we once looked at for $1000 a month was rented for twice that. Argh!! I know it is nothing more than supply and demand and simple economics ... and there is no getting around it ... but it stinks for those of us that operate on a little less $ than the Red Cross budget. The Red Cross has a full time person to scour places on the internet where their name has been used and to combat any negative comments. S0 - HI! Hi Red Cross! No negative comment today. You can be on your way now. For the sake of clarification: Paige's House for House run CHIP IN meter -- it feeds directly to the Heartline Ministries account. We (as in Paige and her parents) never touch your money. It goes directly to Heartline, a 501c3 that will produce a donation receipt for you. Heartline will then write a check to Maxima S.A. to buy houses and Maxima will give us one for every one we buy. Paige is on the up-and-up ... you're not funding her movie night or her college education. The purchase of houses will begin in late June and will continue until all houses are built. The process will be slower than we would like it to be but we will use the funds exactly as we've indicated. Lydia, our 7th child, the one who reduces us to tears and forced us to buy our first parents-that-need-help-book - has had two peaceful, anger and scream-free days. I won't yet declare a corner has been turned - but we're hopeful. We ask the same questions, don’t we? We ask God, “Where are you taking me? Where is the path?” And he, like the guide, doesn’t tell us. Oh, he may give us a hint or two, but that’s all. If he did, would we understand? Would we comprehend our location? No, like the traveler, we are unacquainted with this jungle. So rather than give us an answer, Jesus gives us a far greater gift. He gives us himself. Does he remove the jungle? No, the vegetation is still thick. Does he purge the predators? No, danger still lurks. 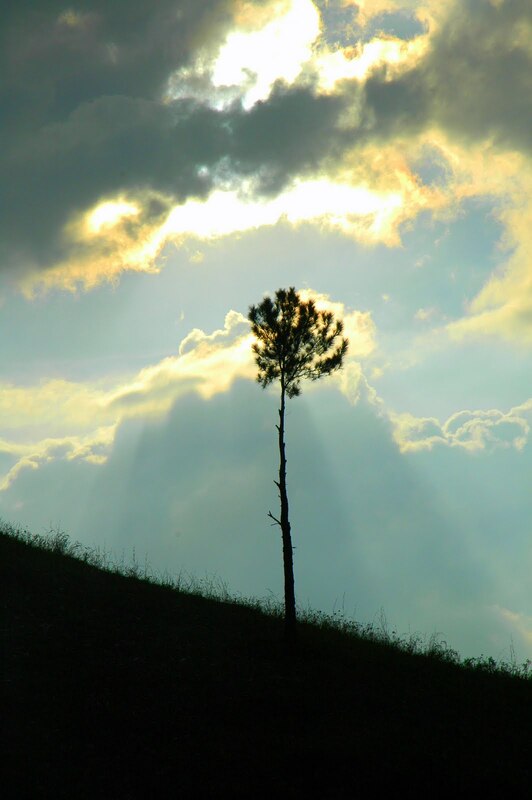 Jesus doesn’t give hope by changing the jungle; he restores our hope by giving us himself. And he has promised to stay until the very end. “I am with you always, to the very end of the age” (Matt. 28:20 NIV). We need that reminder. We all need that reminder. For all of us need hope. Some of you don’t need it right now. Your jungle has become a meadow and your journey a delight. If such is the case, congratulations. But remember?? ?We do not know what tomorrow holds. We do not know where this road will lead. You may be one turn from a cemetery, from a hospital bed, from an empty house. You may be a bend in the road from a jungle. And though you don’t need your hope restored today, you may tomorrow. And you need to know to whom to turn. Or perhaps you do need hope today. You know you were not made for this place. You know you are not equipped. You want someone to lead you out. If so, call out for your Shepherd. He knows your voice. And he’s just waiting for your request. We had a wonderful five day trip to So. Cal. We perfectly balanced time with friends and time for just the two of us and it could not have been better. It is always good to get a break from parenting and an opportunity to learn we still like each other a whole lot. The wedding of a friend in Laguna Beach was absolutely beautiful. Visiting with "Haiti friends" was a blessing. Sharing at The Beacon Church went really well. The youngest five all seemed only slightly impressed to wake up to us being back. The kids tell us the five days went fast but that it "sure was a lot of work for Britt and Paige". It is funny when an 8 year old is concerned about how much work he and his siblings create. I asked him, "How could it have been less work for them?" He said, "If we'd been good?" Then Hope jumped in to inform me that they were perfect and that it is lucky we are home because there is less than 2 rolls of toilet paper left in the house. If nothing else, we're good for supplying toilet paper. That idea from April - that we'd head home by June - has died a slooow and painful death. Instead we'll go to Minnesota in June, and Troy and Paige will go to Haiti too. Come July 1st we'll still be stinkin' Texans. Will you pray for a breakthrough in the immigration process? We would love nothing more than a date on the calendar and a plan to go home - before school starts on August 17th is our hope. Please also be in prayer for Heartline and the McHouls (John pictured above, Beth below) and our Board. Pre - Earthquake Haiti had so much need ... and now we're discerning what direction to take things in the new, more difficult Haiti. The relationships developed in the poorest 'slum' areas as the medical truck went in and out almost every day for three+ months - are so important to us. We are determining how to continue to foster these relationships and how to best serve some small portion of their great need. We have a friend flying in today to visit for a couple of days. Those who have been reading for a few years will remember that God provided this friend's hands when a certain little girl really needed help in Haiti back in '06. 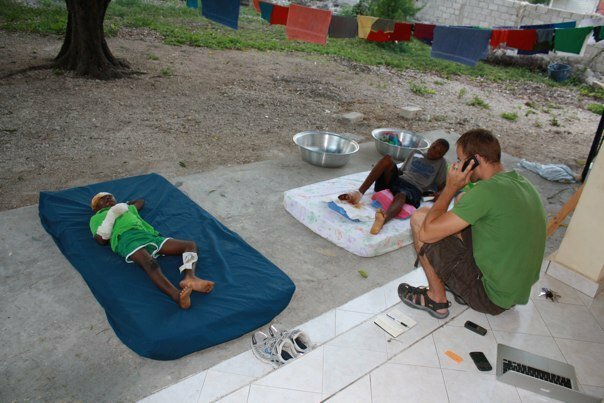 During both of our personal-family medical emergencies in Haiti, God provided Doctor-friends to treat (and save) our children. That "coincidence" has never been taken for granted. Drs Steen and Dr Halverson have blessed this family with their talent and skill more than once. :) We're looking forward to time with both of them in the coming weeks. Paige runs 13.1 miles in 12 days ... if you've not yet sponsored her, please do! When Troy and Paige go to Haiti in late June they will have the privilege of using your gifts to purchase houses and will get to meet with a couple of the first families to receive the homes. We're excited and thanking God for the way He has provided so many gifts for this particular fund-raising event. I've often written about the raw and difficult struggle we've come to engage in while we live in two worlds, two realities, two countries. 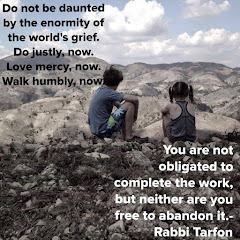 The struggle to rectify: rich vs. poor, feasting vs. fasting, such abundance and such shocking scarcity; and how we are to live within the tension - is ongoing. We come from a culture that says we need a lot - in fact, we need everything, we need newer, flashier, bigger, and better. It goes unnoticed by most. When I speak of it, I am often met by a blank stare. "What do you mean our culture pushes us further into materialism?" It required being removed - physically by living in another country/culture - in order for the problem to become so glaringly obvious to me. At home in Port au Prince I just don't care much about clothing, cars, concerts or home-decorating. I feel content. I might crave some special favorite food but I don't ever wish I could go browse the aisles for another new outfit or pair of shoes. When I'm in Haiti I don't struggle against those cultural pressures - the lies that lead me to believe that my wants are actually needs. I can hardly look around at my neighbors and feel that *we* need more. How could I? person to enter the kingdom of heaven. Part of my discomfort with this extended time away from Haiti is that I am much more comfortable being removed from our American culture and its shopping and restaurants and entertainment. Because when confronted with it - I want to engage it far too frequently. What do we need? What do we want? How can we do better at keeping the wants from moving to the needs column in our minds? I don't want to buy the lies of my culture. I don't need most of what I own. My mind and my first culture are tricking me every day. I am beyond grateful for having been given an opportunity to engage in this struggle. There are things to learn and I am thankful to be learning. I just wish I knew more. I wish I had the answers. I want the perfect balance to come easily, even naturally. 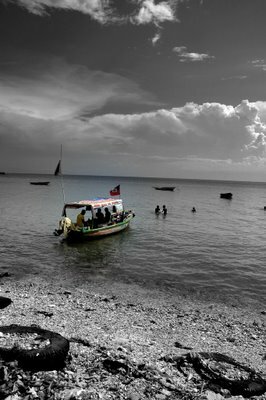 In truth, even the life we live in Haiti is not a hard life. Different? Yes, very. Stretching? Yes. Unpredictable? For sure. But Hard? No. Not really. Not by comparison. We have electricity most of the time. We have water most of the time. We do not wake up wet when it rains at night. We are not crowded into a small space. We can afford bug spray and Chloroquine. If one of our children gets gravely ill, we have the option to get on an airplane and leave. Sure, it's very hot. But I don't live in a 8 X 10 plastic shelter without a fan under the blazing sun with neighbors stacked on top of me. I've never truly known hard. After the earthquake, our family/living room was set up to house guests and medical personnel. Ten twin beds fit there. Now that the guests have gone and we'll eventually get back to a new normal, why shouldn't ten homeless women/children sleep in my living room? It's a great question. A question to wrestle with, pray about, and entertain. An acquaintance considering a move to Haiti wrote me this week. She asked for advice on this troublesome dilemma. My response said, your main motivation to live with the poor cannot be guilt over all that you have materially. The motivation has to go deeper than that or you won't last long. The exchange with her got me questioning many things all over again and examining my own motivation and my approach to both material things and loving my neighbors. In further correspondence we discussed what our duty, our commission, our service should look like. We talked about the seemingly endless needs in Haiti and our position of privilege that allows us the luxury of setting up boundaries even as we make our weak and lame attempts to love, serve and try to empathize with the poor. "I hear you on all of it. It is SO hard. 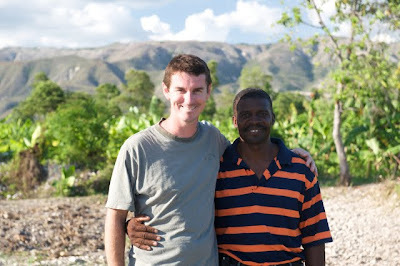 I can only tell you that four plus years in Haiti and I know less than I have ever known in my entire life. I can go and love on poor ladies in our program each week, but I can never understand what they face. 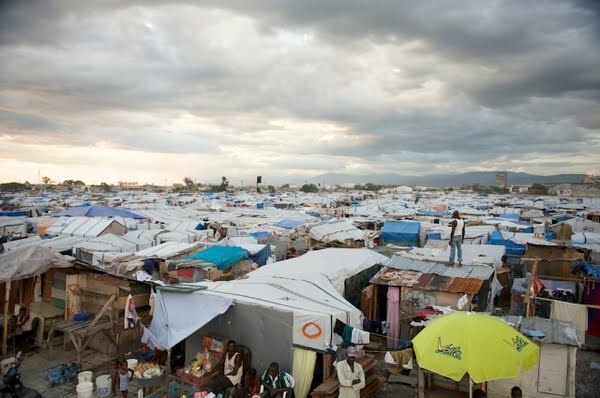 I can pretend to, I can try, but ultimately - I have a way out of Haiti - and they don't - so the idea that any of us with U.S. passports can ever identify with a poor Haitian person is sort of false. The question always is - what are my boundaries and what does Jesus say my boundaries should be ... and there is SO much room for debate there - and it would vary person to person and situation to situation. God does not call everyone to move to Haiti and He does not call everyone in Haiti to live the same way. The struggle is real and healthy and may never lead you to a place of peace because in an unjust world, how do you ever find peace except to trust that Jesus will one day redeem it. Until then you fight and cry and try your best." Today I need to take my own advice. Today I am anxious for redemption to come. God of our life, there are days when the burdens we carry chafe our shoulders and weigh us down; when the road seems dreary and endless, the skies grey and threatening; when our lives have no music in them, and our hearts are lonely, and our souls have lost their courage. Flood the path with light, run our eyes to where the skies are full of promise; tune our hearts to brave music; give us the sense of comradeship with heroes and saints of every age; and so quicken our spirits that we may be able to encourage the souls of all who journey with us on the road of life, to Your honor and glory. Cody and Maria Whittaker moved to Haiti with their two young daughters in mid 2009. Their 4 year old daughter became very ill not too long after the earthquake. Approximately 28 days ago they returned to the USA to learn that their daughter Susana has an aggressive form of cancer. On this day - and in the coming days - please pray for this family. 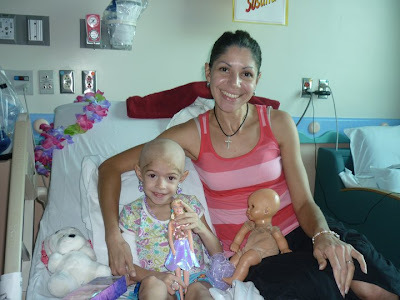 We pray that the doctors and nurses and Cody and Maria will know the best way to help, comfort, and treat Susana. We ask for divine guidance and healing, we believe He is the Great Physician. We're praying for miracles for Susana. If you wish to follow the Whittakers - to make contact, to offer encouragement, support & prayers, etc ... you can find them here. I saw this photo on Beth's Facebook tonight. It brings me such a crazy-joy to see these young adults that left Haiti as babies to be adopted - coming BACK to Haiti to visit birth families, serve their country, and check to see if John McHoul is still weird. I am incredibly thankful for the work the McHouls have done over the years to make adoptions possible and thankful these boys came back to give and remind John and Beth of how good God is. "Ma what is temptation again?" "When you really want something. Like if you are trying not to eat junk food and your friend has a giant chocolate cake on her counter-top, or if you are trying to stop smoking and you keep seeing cigarettes everywhere - you might be struggling with temptation." "It is like when you're on a really long run and you're listening to your ipod and you run by some soup and you see it - just sitting there - and you really want it badly." Not exactly. No. At least not in my running experience. Troy took off for Haiti yesterday. Other than having his bags held back because of large quantities of rat poison, his trip sounded fairly uneventful. We often bring rodent-killing devices in our checked bags, but this time TSA did not love it so much. The kids are all missing Jeronne and their giant dog. Troy's trip brought all of that to the surface. They are requesting that Troy get multiple photos of the dog this time (not JUST one like last time) and that if possible he bring back some of Jeronne's - diri ak pwa (rice and beans). I got home from dropping Troy yesterday and Phoebe asked, "Where daddy?" I told her he want to Haiti. 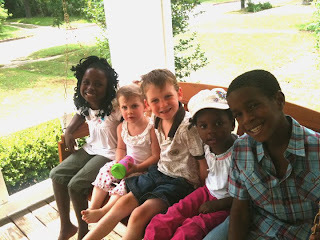 She grabbed her little bag, looked at Isaac and said, "Isaac - lets go with Daddy at Haiti house. Come on!" She then mentioned every few hours all day that she "Want to go at Haiti house now." Troy is spending the first part of this trip with three talented, artsy Texans. They are working with fairly specific goals in mind and have a short amount of time to accomplish quite a lot. The main goal is fact-finding, story gathering and story-telling. These Texans are musicians/artists with a platform to share Haiti in front of audiences for many months to come. As you know, the way to connect to a person across the globe with a need is to hear their story in a personal way and for them to become real to you. Statistics and overwhelming tragedy often cause us to quit listening - it feels too big. Connecting to a story of one person, one family... That grabs our attention and stirs our hearts. 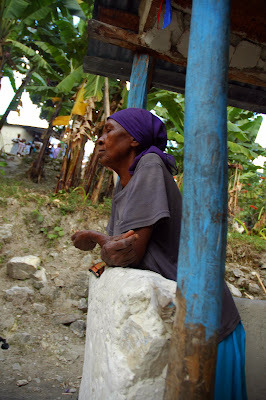 May beautiful stories and songs come from their time in Haiti this week. PS- Check out the new album (we love it!) "Miracle". A previously posted song, Lament can be found here. He was trapped in this rubble for three days. Emmanuel is still residing at the "Heartline Hospital". He's currently our most serious patient in the sense that his left leg wound is still fairly open and needs to heal. His dressing change is done every other day and typically takes a long time. He has severe pain with the dressing change. Sometimes he is being sedated with Ketamine. Other times we need to give him Valium and Percocet pre-dressing change. That worked so-so for a little while, but then his anxiety and pain really escalated, to the point where it was almost impossible to change it. A Physicians Assistant from Quisqueya has been coming every day for the past week. She knew of an anesthesiologist at Quisqueya. He came and put Emmanuel to sleep so they could really clean off his wounds and re-dress it. It isn't getting any worse---but it's not getting much better either. We're going to give it until mid week, and if it's still really open, we are going to take him to a plastic surgeon to see if he needs surgery again. That would be a huge bummer for him. He's really up and down in his emotions...which is totally expected given everything he's been through. He's one of the most sensitive people (in terms of his pain tolerance) that we've had to change dressings on---which I know is because he's been through an unbelievable amount of pain in the past 3+ months. He can barely tolerate even the most minimal pain now. It's hard to see. But he is slowly, slowly getting better, I think. Whenever he gets out to Handicap International to walk on his leg, it totally brightens his day. He had a week (end of April/beginning of May) when he had a pressure sore on his stump, and he couldn't go to H.I. during that week. I think that week of laying around really took a toll on him too (that was also when he started not being able to tolerate any pain during his dressing change at all----I know it's all related). He was able to go back to Handicap Int'l a couple days ago and it totally brightened him up. The school Emmanuel attended completely collapsed. (Troy posted photos of it here.) He had 2 years left of high school -Filo and Retour. He is very down about school--he really wants to finish school. He does not want to go back to Miragoane. He definitely identifies as living in Port au Prince and didn't want to leave the city. He was worried about where he would go to school and how he would provide for himself and his family. He had one cousin who it sounds like really took him under his wing-housed him, paid for his school, took care of him. That cousin died. He now feels like he doesn't have anyone to play that role. His parents are pretty old and it sounds like they really don't have the ability to work. There are some other relatives in Port, including one uncle. Emmanuel had hoped to live with him. The uncle said that he's got lots of relatives living on his land in Port and doesn't have any more room. After Emmanuel found out that wouldn't work, he was really down. Emmanuel is going to be living at Heartline for the foreseeable future. Prior to the quake he'd been living in Nazon with his extended family. I think he'd lived with them for a long time. His mom and dad, 3 brothers and 3 sisters live in Miragoane. They all survived the earthquake. He was living with cousins and other family members. There were about 10 of them living in that house in Nazon. He was trapped along with many family members. I'm not sure how many died in the house but I think it was at least 6. He was trapped with one of his cousins, who was alive for a period of time after the quake but then died before being rescued. Emmanuel was rescued on the third day. He had a bad crush wound to his right leg, as well as a bad wound on his upper right leg. His right leg had to be amputated. They did a skin graft, taking skin from his upper left leg to cover the large wound on his upper right leg. 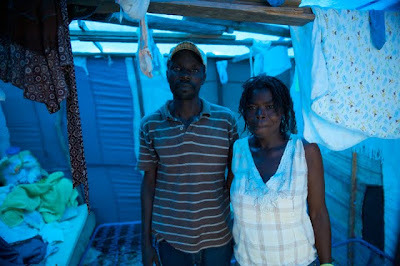 These are the situations that the Haitian people face post-earthquake. The answers are not easy or simple. The Heartline team covets your prayers for wisdom and discernment. We need your prayer support. Please also consider supporting the on-going work financially. Ask your church if they would like to support this work. Tell your friends. If you have questions or would be interested in speaking with a Heartline representative, please let us know. Thank you for reading, giving, praying, and hoping. Training has been going well. It is definitely not easy, but overall it is going well. I have been doing my best to keep a good attitude on the longer, more difficult runs. Today I ran 7 miles. I felt great through mile 5 but the last 2 miles were really tough. I was thankful to have my Mom running with me, if I have her with me it makes it a lot better. As you can see on the chip in meter, the gifts for Haitian houses keep coming in. Thank you so much for caring about the Haitian people and supporting me during my training. Maxima S.A. says they will double the amount of houses we can buy -- no matter how many! Right now we are very close to buying 12 houses - which really means 24 houses! My Dad's friend Robbie Seay says if we make it to 50K (20 houses plus the 20 match) that he will send my parents sky-diving - no matter how scared they are. I am not sure how they feel about it but Robbie says they will do it. There are funny things about bringing kids to America that have lived a lot of their lives in Haiti. Troy was asking Noah would he like to be rewarded for his awesome first days of "school" (it is technically tutoring) with ice cream at the store to bring home and share with all of us, OR, would he like to go to Dairy Queen? "WHAT (long pause) is Dairy Queen?" And so, this six year old learned all about a great American summer tradition - and will no longer be satisfied with a simple half-gallon of vanilla. Prior to coming here he called ice cream "that weird cold stuff" because we had it so infrequently that he could never recall that terribly nonsensical and difficult name - ice cream. They all marvel at regular things like: TV programming, escalators, water fountains, smooth roads, an abundance of public restrooms, giant grocery stores, parks, water parks, amusement parks, zoos, recreation, wide open spaces, and so.many.places.to.eat. Think American television has no affect on your children? A lady came to our Women's Program several months ago pregnant. Her husband had died and she was raising her two children and found herself pregnant not planning to be. She was despondent and decided to abort. She was many weeks pregnant at the time. When she came to us and we talked her into carrying the baby with the promise we would take the child into the adoption program once the baby was born. She could come every week for prenatal care and encouragement. She was a faithful member of our program until the earthquake and then we never saw her again. We wondered many times if she would still place her baby for adoption. I figured she had the baby elsewhere or perhaps even died in the quake. I thought we might never know what became of her. She was a lovely lady attentive to the lessons of the program and had a gentleness about her. She arrived today just before class started with a 3 month old baby in her arms! She held her baby so lovingly in her arms while she told me she lost her other two children, boys ages 9 and 11 in the earthquake. Crushed under the cement of their classrooms. She proudly showed me her little one, the light of her life in a dark time. The baby she did not want had become her reason for getting up in the morning. Her unwanted baby had become her gift in a time of sorrow. We will never understand the sorrows the earthquake has brought but we rejoice in the hope of a life saved. A life that now brings joy and peace. Such joy. This is a special CNN documentary that Soledad O'Brien produced about orphans in Haiti post earthquake. 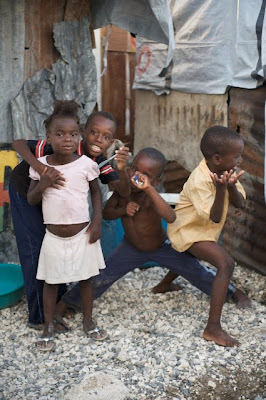 The Haitian kids featured are kids that friends of ours, Bill and Susette Manassero, work with in Port au Prince. The Manasseros are sheltering children in crisis and are helping to give these children a new lease on life. They work to restore children and walk with them as they heal. They do this in order to focus on helping the kids into adulthood and to foster a desire in them to love and give back to their country. We hope you'll get a chance to check it out Saturday night at 8pm Eastern. Part of the reason for my previous post is to help frame the numbers. We want to point out that raising orphaned children in Haiti (or anywhere) is totally admirable and when done well it is an absolutely beautiful thing. We wish there were 1000 more safe and loving places like the one the Bill and Sue are operating. 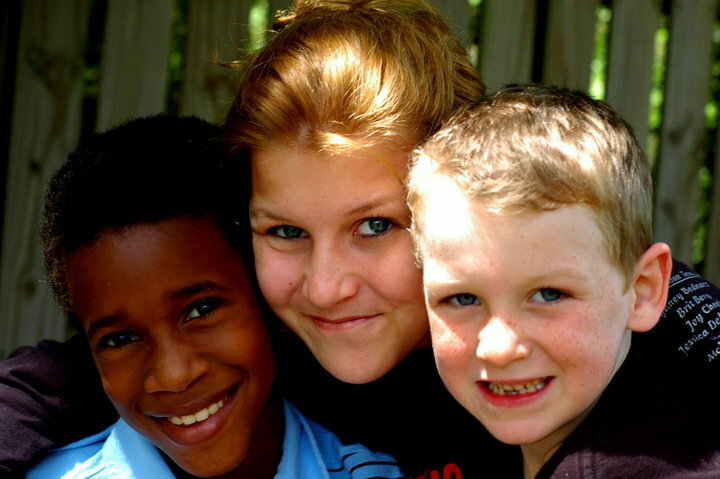 We support a well run program helping kids stay in their own culture. Having said that, the handful of organizations that help a small number of orphaned children find families to love, nurture, and raise them abroad through the miracle of adoption are doing equally important work. The orphan problem is so large that more than one solution is necessary and can be aptly applied. We pray the local church and the church of the world will respond to the growing orphan crisis in Haiti in multiple compassionate, creative, respectful and holistic ways. If you get a chance to watch the documentary, we'd enjoy hearing your feedback. One of the misconceptions about adoption (in this case from Haiti) is that Americans are "stealing/removing the future generation" of leaders from the country. 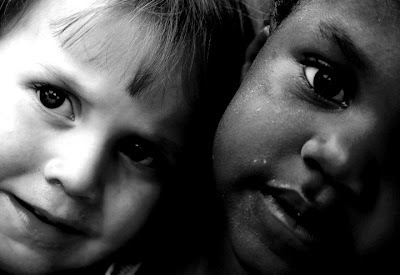 After the EQ 2010 - approximately 900 children left on Humanitarian Parole, seeking adoption and citizenship in the USA. Take into account that most children stay with their families and are never abandoned. 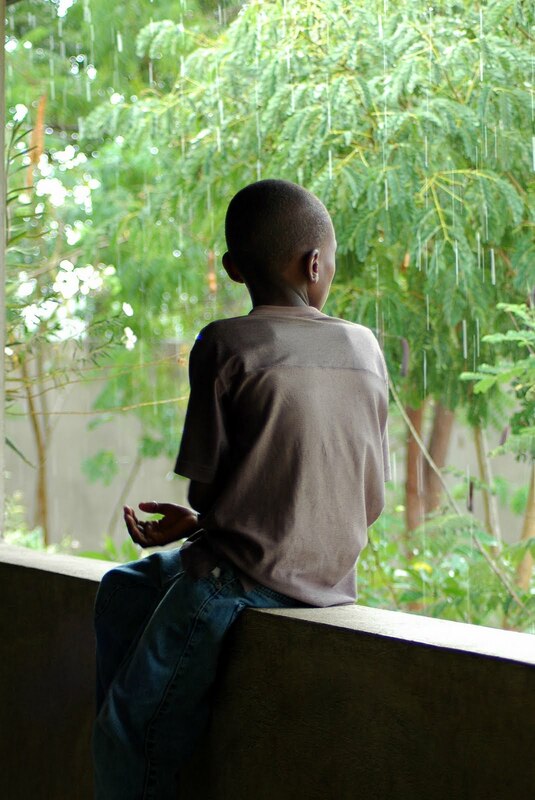 Then estimate that there are somewhere near 500,000 children institutionalized in Haiti. If 300 leave - or - even if ten times that many leave in a year - no one is removing the next generation. Not by any stretch of the imagination. The only thing happening is that a microscopic little band-aid is being placed on a massive gushing wound. This idea that institutions produce the future leaders of a nation is curious to me anyway. Families offer stability and love. Love and stability create confidence. Confidence creates future leaders. Changing the argument into something other than truth is the way to advance an anti-adoption agenda, it does not change the real statistics. If we're going to allow that argument any time or attention, we should also stop that man above from having so many of the world's cows. Last summer and fall many of you donated to the Medika Mamba fund-raising project. I promised to keep you up to date on how your dollars made it to the hungriest little ones in Haiti. Up until January 12th I did a decent job of that. Since then, I admit that I have not done as well with reporting back to you as I hoped. I won't make excuses, I'll just say I am sorry and ask that you take a look at some of the amazing success stories here at the RHFH blog. 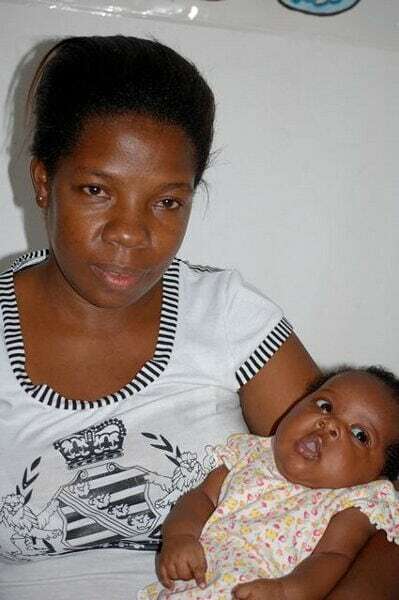 To see more kids treated and recovered, visit this March 2010 post. Medika Mamba is a product produced in Haiti. It is a vitamin fortified high-calorie ready to eat Peanut Butter product. We love that we can buy a locally made product and use it to help severely malnourished kids. We have an amazingly solid partner in RHFH and their in-patient Medika Mamba program produces astounding results. They have treated many, many children with the product. One 60 to 90 day treatment is approximately $100. RHFH has reported that they've never worked with a product that turned kids around so quickly. Mesi to all who have funded this product and all who will do so today. Mesi to Meds and Food for Kids for producing a great product IN HAITI. Mesi to RHFH for their hard hands-on work with these kids. Mesi Anpil to God for sustaining and healing these precious little ones . I play little games in my head. I wonder if my return to where I want to be is dependent upon my acceptance of being where I don't want to be. Because I wonder this- I try very hard to show multiple outward signs of accepting my current GPS coordinates. I can do it fairly well for about 13 days. After that ... then comes the melting-down, whining, complaining and all other sorts of repulsive behavior for a few hours before I pull it back together for another 13 day stretch. Last week I walked into counseling crying. We had not even said one thing and I was all snot and tears. I think my counselor is amazingly good at what he does. I am blessed to have found him. He likes to say "How could we re-frame that?" Troy and I mock him for those counselor sayings but we love him and we love that he is helping us "re-frame" all that we're feeling and thinking and experiencing. We focused a bit on the really cool things that have come of our time in TX. There are a lot of really good things. God has allowed us unique opportunities to connect with others. We have tangible evidence that says these connections have been valuable. I have had a lot more time to work one-on-one with Phoebe and our relationship. We've had time to enjoy Britt and Chris and their crazy lives. 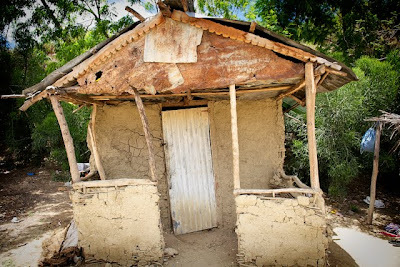 Encouraging amounts of $ have been raised for Haiti projects and rebuilding. That is all very good. We talked about how much I trust (or don't trust) God to sustain me when I am "stuck" in places I don't want to be. We talked about my worries as a mom of how each day we are here makes our transition back to Port au Prince a little bit tougher for some of our kids. (Maybe all of our kids?) And how at times I get fearful about it all. Fearful of staying and fearful of going and just-so-dang-crazy-in-the-head. I do not feel guilty for not being in Haiti. I might have felt that at one point, but I do not now. More than anything, I just want to be there contributing my little thing to the little things we're doing with our friends and partners in ministry. I miss it terribly. There are some angles we are working and some really good possibilities we need to investigate based on how far along the adoption process was ... we're not asking anyone to call their powerful politician friends or shake any trees for us. Please don't. We're only asking that God would make a way for us to be home by the start of school in August. We are asking for clear answers and to begin to make some sort of progress (even something that we could fool ourselves into believing was progress would suffice) during the month of May. If you'd pray for that we'd be so grateful. A cool thing happened last weekend that encouraged our hearts and reminded us that even though we sometimes feel our issues are small and insignificant in a giant world of troubles and we wonder if God even knows of our struggle ... He does. We believe He does. We have these "friends" that we have never met face to face. We began exchanging emails with them back in 2006 when they felt a call to move across the world to work in India. As we got to know each other, we enjoyed following along on their journey as they shared their vision with family and friends and did the prep-work to move to a new country/culture with their family. Our family moved Britt to Baylor in '08 and learned that their family has many connections to this area of Texas. Before they left for India they even lived in the very house we are now living in -- the first days of 2010, they were here. While they were here they met our oldest, Britt, and she baby-sat for them. They moved to India in early January. So...our friendship was and is real to us -- but Troy and I have yet to hug these people or speak to them on the phone. This is a 2010 web 2 point oh (or whatever) 'virtual relationship'. Isaac had just finished up leaving his facebook message when our phone rang. Troy answered and I only heard him say, "Well, I don't think I have ever called this number. No, no I don't think so." He paused and then said, "This is Troy Livesay." The person on the other end of the phone was the same man I had just finished helping Isaac communicate with thirty seconds before and the same man that now lives in India. The same man we have never ever talked to and he said, "TROY? Troy Livesay? I missed a call from this number on Tuesday and this morning I decided to call and see who had been looking for me." They went back and forth and back and forth and Troy assured our friend that we have never, ever, had his phone number. We don't know it, we've never had it, we've never called him. They went on to chat and catch up for a while and then they said their goodbyes. We later learned that when he decided to call the unknown number his wife told him he was silly to bother, that it was probably a sales call. After Troy and our friend hung up we looked back at our dialed calls. On Tuesday afternoon around 1pm our phone had indeed dialed that number. We can only figure out that it was when Isaac and Troy were getting a hair-cut and I was sitting with the other kids waiting. Phoebe had the phone for a few minutes. She dialed numbers and hit send. I never noticed. Random numbers dialed by a three-year-old that ended up connecting us to people we love and pray for and correspond with regularly -- across the ocean -- but not small or insignificant or unknown to God. I am no statistician, but I would venture to guess the odds on this are slim to none ... like insanely unlikely. Like zilch. Zero. Nada. Now, if you are wondering how likely it actually is, and - if you figure it out, or WHEN you figure it out ... please tell us. The moral of the story is this: If you need to reach someone you don't have a number for --- give Phoebe your phone. OR - God is a details guy. OR - just trust Him. OR - He has not forgotten you. And - God is still doing miracles and working among us today. And/Or - God has many morals wrapped into all of our stories. We love Him for that. I have two main running routes in Haiti. They both involve a lot of dodging vehicles, people, animals and rocks. Add cement to that list since the earthquake. I've not run much since the earthquake but have tried to make time a few mornings a week. While marathon training we include a 6 mile route that has three big hills each way. If we do this route enough it makes us Boston ready and very strong. The last time I ran this route was with Tara shortly before we left for the Disney Marathon in January. This morning I was feeling nostalgic and thought I'd give our old hill route a try. As I was going out the door I hit John up for money to pay for water half way through the run. There is a boutique along the route that I would stop at and buy a bottle of water to carry me the rest of the way. I would always stop at this one little shop run by a very cute family. An obese mom who sits on a chair in a house-dress and orders the others around. The son and the dad work in the boutique as well and do her bidding. Cold water sits in an ancient cooler and ketchup, tomato paste and cornflakes line the shelves. I often chatted with the family making small talk while I waited for change. I would answer mom's questions and she would repeat my answers to the dad as if he couldn't hear me. "She runs every day" or "her children live in the States" or "she is training for a marathon" and he would nod. They were cute. They were part of our routine. Tara was often with me and she added in the small talk as well. We liked them and I being the hydration police would insist we stop and buy our water. On that final run in January I didn't have the right change and they told me to pay next time. As the earthquake would have it, the next time was today, nearly four months later. As I came up on the boutique this morning it wasn't there. Gone. Cement. I looked for the slippery slope entrance where Tara once fell. Memories. I looked for the cute family. Not there. Tears immediately filled my eyes and I stared through them looking for the boutique and the chatty family. My water money sat in my pouch. My debt for water consumed last January would not be paid. I felt so very sad. I moved on to the turnaround point sad that the earthquake yet again claimed another part of my normal life. When would we stop being surprised at the cost of those 35 seconds on January 12. I moved on to the turn around point, stretched and headed back home. I stopped again at where the boutique stood gathering my courage to face the next hill when I heard the yelling. I turned and looked across the street and there was the cute mom, in the same housedress waving her arms at me, beckoning me to come. The son was there too! I ran across the street, heard their news and paid my water debt. They were rebuilding! No lives had been lost. Good news! Mom sobered and asked where my friend was. Was she okay? Was she hurt in the earthquake? I explained that Tara was in the States for a while but would be back running with me as soon as possible. We rejoiced in each others safety, in renewed acquaintance and I admired their resolve to rebuild their lives after losing their store. I ran the rest of the way a little lighter. Hills make us strong and relationships make us rich - even casual ones. 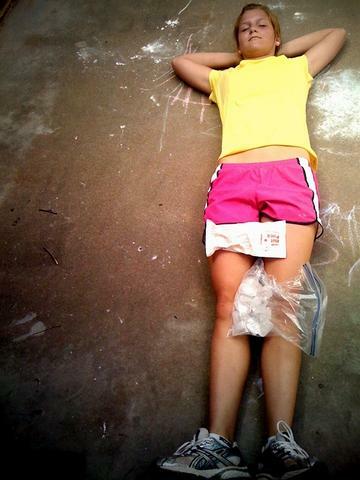 Running has been a healer in my life. It is not easy, it is not always fun, sometimes it even hurts. 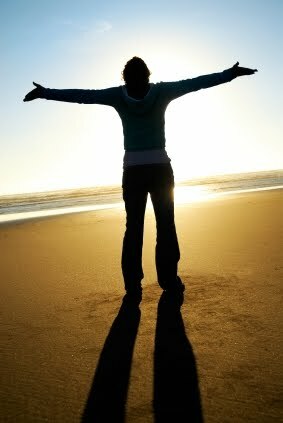 God has given it as a gift to help me clear my head, to help me refocus, to help me spend time with Him in conversation. My first running partner was/is my little sister, I miss our runs together. 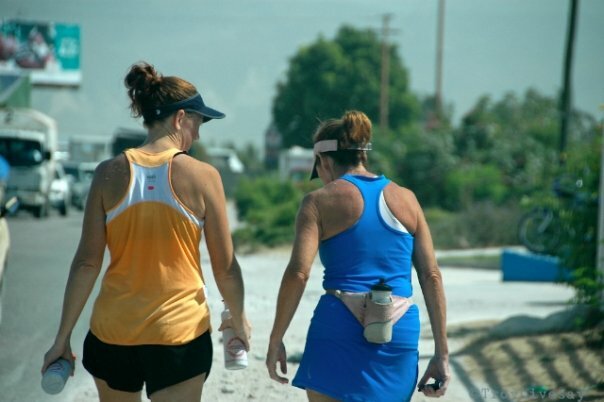 My second running partner was/is Beth McHoul, I miss our runs together. Even as I miss these two women and we all run by ourselves divided by many miles ... I know we are not alone. 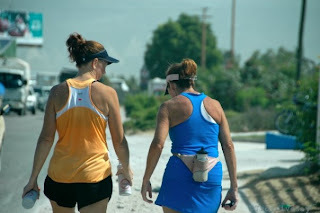 Thank you God for running, for my friends, and for protecting the "Water Stop Family". Please pray for supernatural healing in these lives. Meet Rosemond. Rosemond is a sweet, curious, exuberant, intelligent, and loving ten year old boy. On January 12, 2010 he was finished with school and had gone to his grandparent's house in Nazon, a neighborhood near downtown Port au Prince. Rosemond was alone in the house at 4:53pm. His grandma was out on the street walking toward home. Rosemond's two uncles, who also live in that home and are in their late teens, were still in school. Thankfully, their school did not collapse. Rosemond did not live with his grandparents, he was simply visiting that day. He lived with his parents, in a house not too far away, near downtown. When the earth shook Rosemond had no one to tell him to run, no one to cover his head, no one to call to God with him. He was alone and afraid. 45 seconds passed and as he the earth tossed him and the house he found himself trapped under a cement block house that had completely collapsed. Imagine the fear. Imagine the loneliness. This one little boy has overcome so much by even getting through that day. If only that terror had been short-lived. Rosemond waited for three days to be found. His grandfather heard him calling out for help, dug until he could see Rosemond's face and eventually, a full three days later, was able to free him from the rubble. 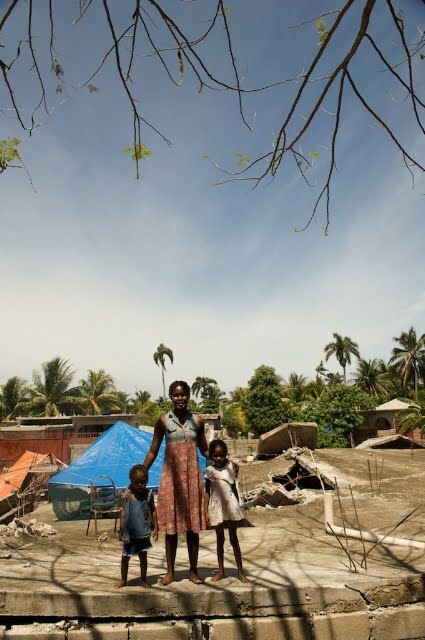 Not too far from where Rosemond was buried, his mother and father were buried in their family home that had also collapsed. Rosemond lost his mom and dad on January 12, 2010. Once found, Rosemond's grandparents tried to find him help. They visited a few different hospitals. His grandpa told Dr. Jen that they eventually ended up at a field hospital. We think this was actually the Israeli Field Hospital. Friends of Heartline (missionaries Jared and Jalayne C.) found Rosemond there. Jared and Jalayne were told he just needed dressing changes, and were asked to take him. Once they got Rosemond back to their place and watched him for a few days, they became concerned with the severity of his injuries, and brought him to Heartline. Those of us at Heartline first met Rosemond on January 25th. These two photos are from those first weeks after the earthquake when Jared and Jalayne found him. In the back of a truck at the Israeli Field Hospital with his Grandma. Lying on the left in green, at Jared and Jalayne's place. 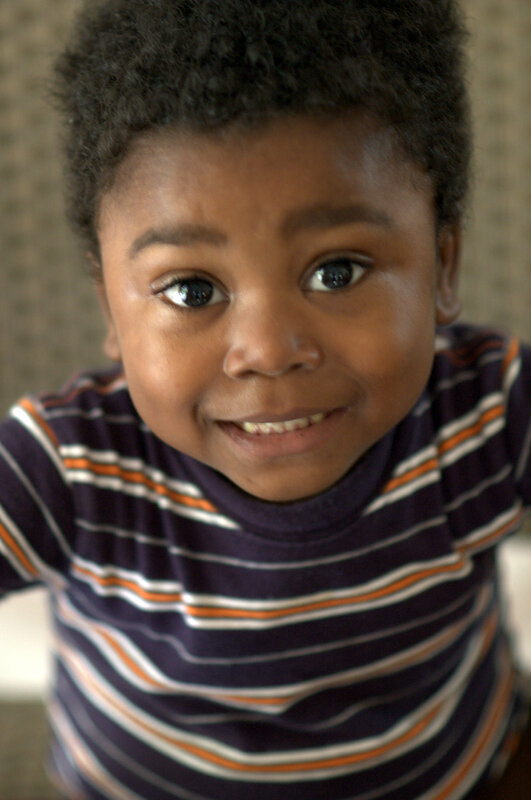 During the three months Rosemond has been at Heartline Hospital, his grandmother has been with him. Dozens and dozens of Heartline volunteer medical people have been in and out in the last 14 weeks. Not one volunteer has left Haiti without some sort of heart connection to Rosemond. 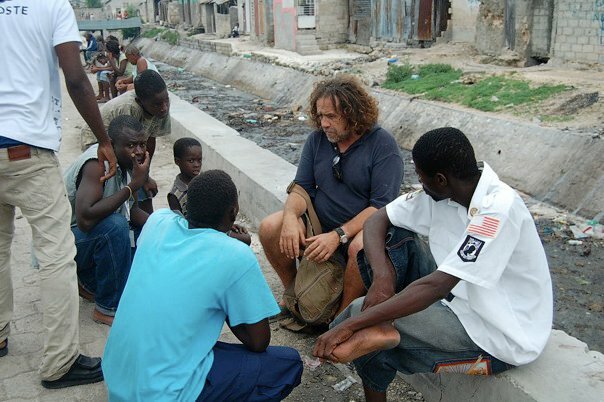 He has changed the lives of many American, Canadian, and Haitian medical professionals. His injuries have been healing. He had serious wounds on his head, leg and hand. His hand was the worst and healed with very limited range of motion. He struggles with ongoing unpredictable grief. Dr. Jen shared that sometimes he just weeps and weeps for his mother and father. He will often be playing happily one moment and withdrawn and quiet the next. He has experienced such unimaginable loss in his short life. Rosemond had hand surgery on April 21st. He will be in a specialized cast for the next couple of months, then will likely have a second surgery. He will also need aggressive physical therapy down the road to make sure he regains functional use of his hand. Post-surgery he was strong, hopeful, and encouraging. He complained of pain for a couple days but quickly improved. Rosemond's grandparents house is completely flattened. There is nothing left to salvage. They've put together a small shack on top of the rubble (it is up high...hanging over the rubble). Right now that is where Rosemond's grandfather and two uncles live. 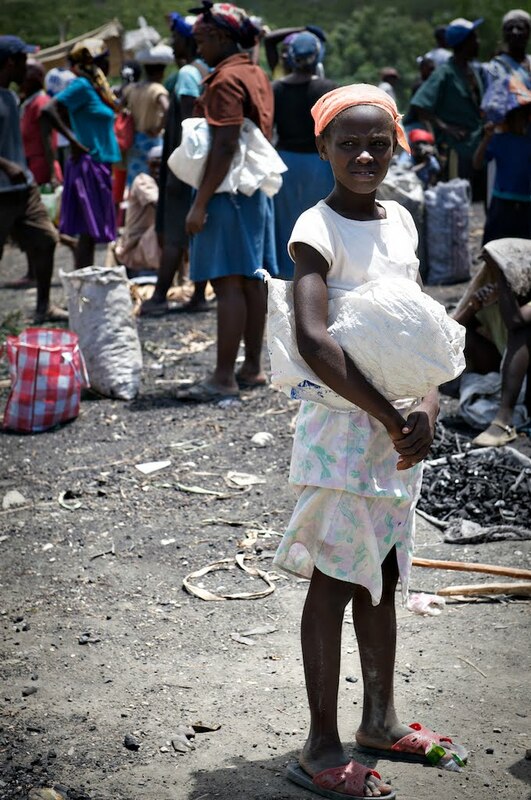 The Heartline staff in Haiti were able to provide them a tent, cooking supplies, mosquito net, tarp, etc. The family plans to set up the tent on top of the rubble of the house. 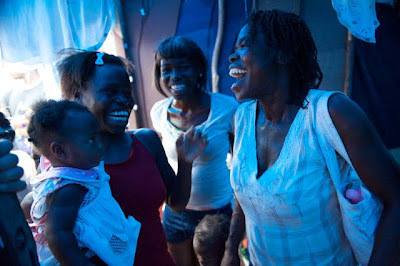 This is a family we are connected to and responsible to aid in the reconstruction of their lives. We hope to help them rebuild. There are some land issues that need to be addressed and figured out. Please be praying with us for answers and clear solutions for helping this wounded family. We are praying about ways we can support Rosemond's grandmother and grandfather as they try to raise this spirited ten year old. We don't yet know what that will look like but we ask you to join us in prayer for the best decisions to be made for their future. Above, the red metal door was the way that Rosemond's grandparents would enter their home. Below, a temporary shelter perched upon the rubble. This video was taken by Dr. Jen prior to learning extra details of the story ... more information was gathered after this was filmed, but it gives you a bit better perspective. Rosemond is obviously just one of thousands of stories of heartache and loss following the tragic events in Haiti on January 12th. This does not make it any less heartbreaking or horrible. He and what family he has remaining are in desperate need of ongoing love and support as they look to rebuild their lives. We at Heartline feel called to assist them and use our resources to ensure they are looked after and provided for until they are able to get back on their feet again. Rosemond is a survivor. He is amazing. He has encouraged us and lifted our spirits through some of the most searing pain any of us can imagine - and we hope in some small way to return the favor and help restore a future for him and his family. Boston Globe article about returning to Haiti after medical treatment in the USA. 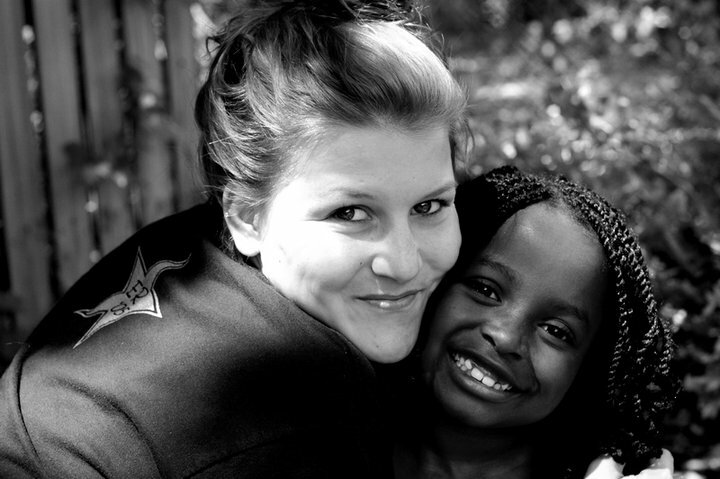 We're missing Haiti and waxing nostalgic tonight while looking at old videos of our kids and of the last four years. This is from late 2006 and shows the absolute beauty of the Haitian country-side and the joy of the Haitian people. It's been fun watching this stuff tonight. 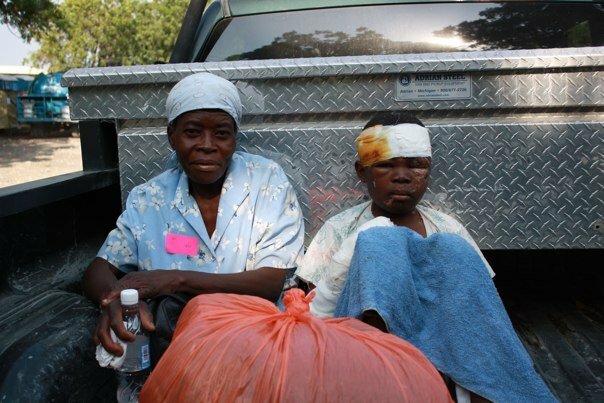 We lift the needs of the people of Haiti to you tonight. We ask for your love to be evident to them. We ask for your peace to be made known in the darkness. We ask for deliverance from physical pain and suffering. We ask God, that you remove obstacles that would delay them in rebuilding and healing. 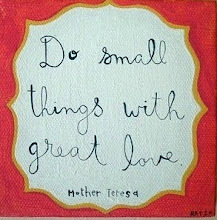 We ask that anything done to "help" them be done wisely, respectfully and most of all - with Your love. Amen.